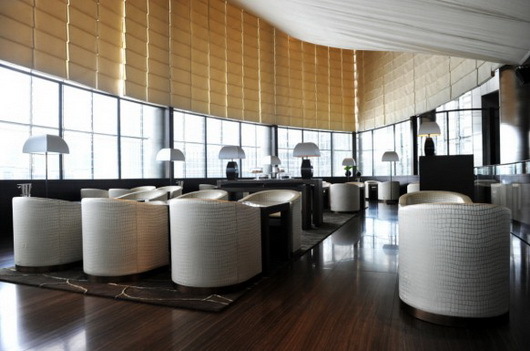 The Armani lounge is of course located in the Armani hotel, at the bottom. Even if you don’t stay at this hotel, it’s a fantastic venue if you have to meet over a drink or a light lunch, or just relax. It’s a great place to admire the Dubai Fountain water jets, far from the crowd.